Top Dawg Entertainment rapper Jay Rock has fit his recent "Parental Advisory" single with a set of visuals, though you may not actually have to push the kiddies away from computer screens during the clip. Plugging their ears during the unedited audio portion may, however, be a good idea if you're oversensitive to swearing. The clip has the gruff-voiced MC hanging out in Watts, CA, with a front yard in the Los Angeles neighbourhood serving as the backdrop to the rapper's rhymes about being racked-up and strapped-up while selling rock on the block. Further strengthening the visuals is the sight of a tough set of dudes dead-lifting weights on a sunny day. Rock gets in touch with the animal world too, though, slinging bars while surrounded by a gang of pigeons. 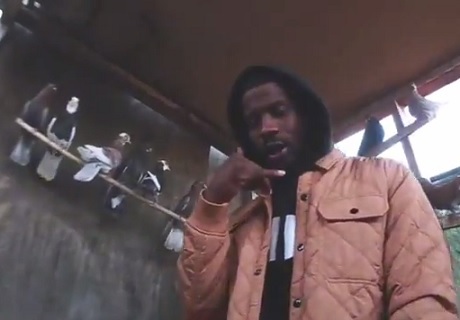 You'll find Jay Rock delivering his message down below.